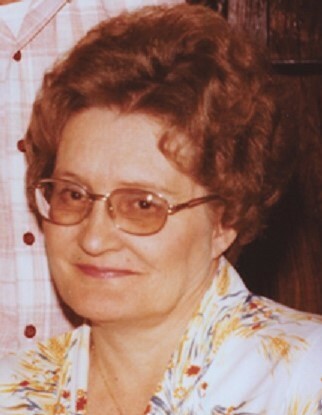 Dorothy “Dot” Jean Malin Vario died peacefully in her home on July 19, 2018, in Tooele, UT at the age of 90. Dorothy would like to let you know that her work here is done. She received a call, a sort of an offer you can’t refuse, for an appointment from which she will not be returning. This assignment comes with a huge sign-on bonus, a reunion with family and friends she has not seen in a long time. Her new mission takes her to a wonderful place where she will be socializing, dancing, gardening and reading to her heart’s content. She will be the queen of The Price is Right. Music, laughter and love are guaranteed. She left detailed instructions for her children and grandchildren to celebrate her mission here, which has now been completed. 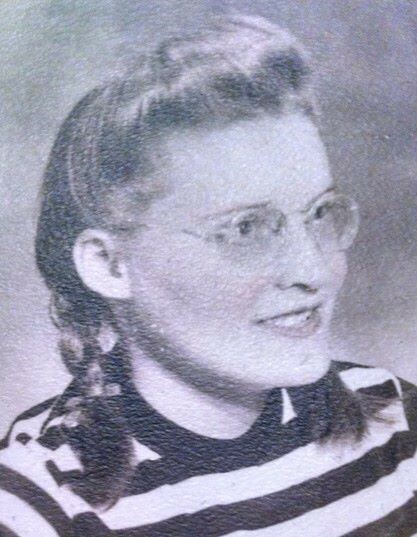 Dorothy is survived by her children Doreen (Mike) Outzen, Pat (Julie) Vario, Joyce (the late Steve) Hunt; Harold (Paula) Vario, Ila (Mike) Sprouse, special niece, Karyl Collier, and her Grandchildren Brent (Aaron) Outzen, Brian Outzen, Sean (Erica) Outzen, Lindsey Borja, Bruce (Melinda) Vario, Cyndie Vario, Nikki Vario-Tomac, Jennifer Smith, Lisa Vario, Tara Vario, Troy (Marisa) Vario, Billy Drown, Danny (Becca) Drown, Karla (Sonny) Davis, Michelle (Angel) Merino, Matt (Amanda) Sprouse all of Tooele, UT. She was preceded in death by her Husband Ernest Vario, her son Allen Vario of Tooele, UT and her parents Owen and Olive Malin. Dorothy was born on December 23, 1927. She married Ernest Vario on March 9, 1946. The couple welcomed 6 children, 15 Grandkids, 41 Great Grandkids and 16 Great-Great Grandkids into their home. A closed family service is scheduled for Wednesday, July 25th at 11:00 am at the Tate Mortuary. Friends and Family are welcome to join us at the graveside service at 12:00 pm at the Tooele City Cemetery, with a luncheon to follow at the Lakeview Ward in Pine Canyon (4025 Churchwood Dr). In lieu of flowers the family is requesting donations to be made in memory of Ernie Vario, Ryan Tomac and other family members affected by cancer, donations can be made to Kicking Cancers Can, a local Non-Profit group dedicated to helping those individuals in our community fighting cancer. The family would like to thank the staff of CMS, Jackie Remick, Megan Bickery, and Brenda Baldwin, and Dr Charles Holt and staff for the wonderful care they provided to Dorothy.